Oil pulling is a centuries-old Ayurvedic practice of vigorously rinsing the mouth out with, you guessed it, oil. Practitioners say that oil pulling can help to remove toxins from the body, leading to a whole host of benefits ranging from reduced arthritis pain to the curing of diabetes. While these supposed benefits of oil pulling haven’t been clinically studied, the effects of oil pulling on oral health have been the subject of scientific inquiry. 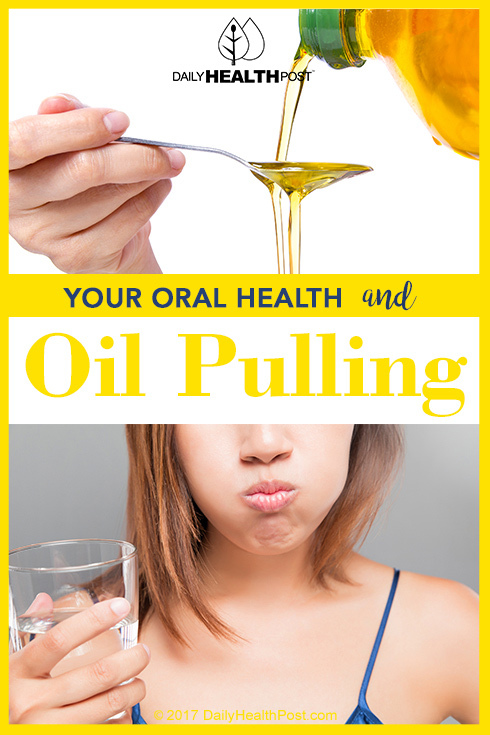 And as it turns out, oil pulling may actually make a huge difference in the health of your mouth and teeth! The basis for oil pulling’s effects on oral health rest in the practices’ ability to eliminate bacteria from the mouth. One study showed that oil pulling can reduce the number of Streptococcus mutans bacteria in the mouth when performed regularly for two weeks. Because bacteria are often the root cause of oral health related issues, oil pulling can have a significant role in reducing the incidence of many common dental and oral problems. If you struggle with bad breath, you’ve probably tried mouthwashes, chewing gums, and various toothpastes to try to put an end to the problem. While swishing a bunch of oil around your mouth doesn’t necessarily sound like something that would make your breath smell better, studies have shown that oil pulling with sesame oil is at least as effective as chlorhedixine mouthwash. Plus, the study participants in the oil pulling group reported fewer unpleasant aftertastes, fewer allergic reactions, and fewer incidences of staining than those who used mouthwash.